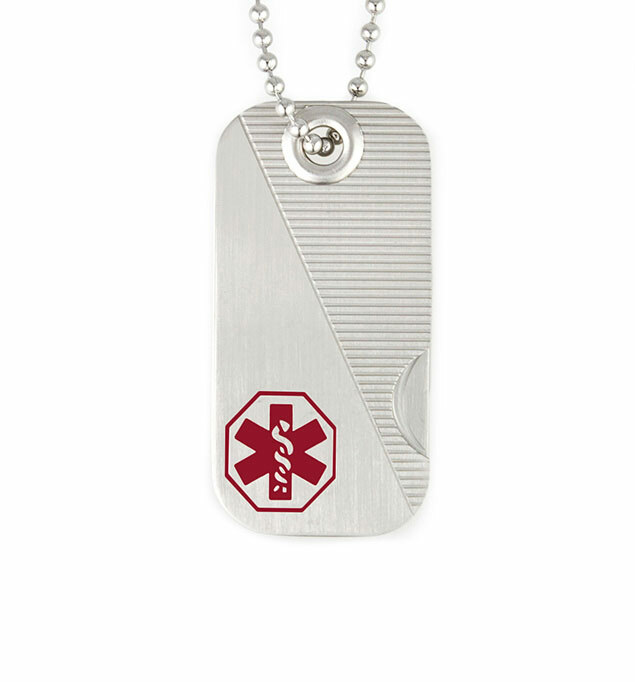 Dog tag measures 1" x 2"
Our Swiss Army medical ID dog tag is made of durable, water-resistant stainless steel. The top plate covers your personal information and features the red medical caduceus symbol with a ridged inlay. The bottom plate features a thumb-latch design. This medical ID necklace measures 24" and is easy to cut down to size for children or use as backpack loop. This medical ID necklace measures 24" and is easy to cut down to size for children or use as backpack loop.